He is small and adorable and he needs some help now. Please SHARE, he's SO special he needs a FOSTER or ADOPTER NOW. Thanks! 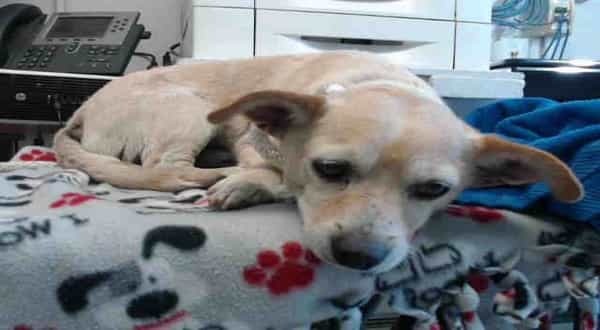 #A5133517 I'm an approximately 3 year old male Chihuahua. I am not yet neutered. I have been at the Carson Animal Care Center since 11/29. I will be available on 12/4. You can visit me at my temporary home at C210. 2 Responses to "3 years old Chi waited, hoped someone would help him -- but nobody seems to care"
This little guy is safe as of 2 weeks ago. Turned out to be a senior....10 yrs old not 3 as listed and with dental issues not anticipated but we're working through it all. He is very sweet and calm....and safe and loved forever. Thank you for giving him the loving home he so needs and deserves.